South Texas Electric Cooperative, Inc. filed a request that the Public Utility Commission of Texas, "initiate a review of ERCOT's outage cancellation actions and procedures, the increased costs caused by such actions that generators cannot avoid ... and the risks to consumers and reliability caused by outage cancellations during the limited time available for the performance of generator maintenance for summer readiness." STEC said that certain outage withdrawal or rejection conditions imposed by ERCOT may hinder the summer preparedness of STEC and other ERCOT market participants. 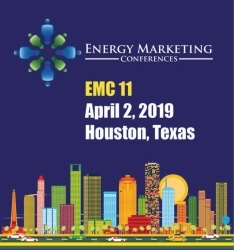 An ERCOT media representative said in a statement to EnergyChoiceMatters.com that, "ERCOT is working with stakeholders to continuously improve its processes. Following this unique situation, we are working with Market Participants to assess the most effective ways to communicate moving forward." STEC said that, "On June 11, 2018, STEC submitted a several week Planned Outage request to conduct needed major annual maintenance on the 391 MW San Miguel Unit. Despite ERCOT accepting STEC's Planned Outage request approximately nine months ahead of the outage, and despite the necessity of STEC's maintenance request to ensure the unit is available for the summer as requested by the Commission, the San Miguel Unit was selected as part of the cohort of units recalled from outage due to cold weather forecasts. ERCOT Protocols §§ 3.1.6.8 and 3.1.6.9 give ERCOT discretion to determine when outage cancellations are appropriate, but also require ERCOT to consider the timeliness of outage requests and the reliability impact of the cancellation. These factors were not given adequate consideration by ERCOT during the recent outage cancellations on February 28, 2019. Instead, ERCOT indicated to STEC that it was issuing a blanket outage cancellation for all units greater than 400 MW, including STEC's scheduled Planned Outage for the San Miguel Unit. STEC is concerned that the Planned Outage cancellation procedures prescribed by the Protocols were not followed, placing the San Miguel Unit in jeopardy of not being adequately prepared during critical summer months when ER COT reserve margins are at historic lows. STEC requests that the Commission incorporate a review of ERCOT's outage cancellation practices in conjunction with other summer preparedness initiatives the Commission is currently undertaking." STEC said that, "Although STEC's Planned Outage request was submitted nearly nine months prior to the start date, less than 12 hours prior to initiating the ramp down of the unit to begin the outage, STEC was notified by ERCOT that the outage would be withdrawn if STEC did not 'voluntarily' reschedule to a time no earlier than 22:00 on March 6, 2019. Once an outage is withdrawn, any attempts to reschedule are considered to be a new request subject to the applicable Planned Outage lead time and coordination requirements found in the Protocols. Withdrawing the outage would essentially guarantee that SMEC [San Miguel Electric Cooperative] would be unable to complete its maintenance on the San Miguel Unit prior to May 15, 2019 and called into question whether the unit would even be able to maintain operations until maintenance could be rescheduled. STEC repeatedly reached out to ERCOT staff to explain the importance of allowing San Miguel's outage request to proceed. Despite STEC's attempts to persuade ERCOT to reconsider the cancellation, ERCOT declined to allow the outage and STEC faced no other option than to reschedule the outage start date to March 7, 2019 in order to preserve its place in the outage queue and not be subject to the submittal requirements that would have occurred if ERCOT had withdrawn the outage. The actions taken by ERCOT could be likened to volunteering without being given a choice." STEC said that, "Resource Entities are left with little recourse in the event ERCOT cancels a Planned Outage. Should ERCOT withdraw or reject a Planned Outage, Resource Entities must restart the Outage scheduling process and submit a Planned Outage proposal as a new request, subject to the timelines and requirements of the ERCOT Protocols. 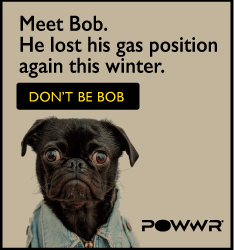 Additionally, resources must make last minute efforts to procure fuel and chemicals to be able to run, reschedule contractors and equipment needed for the outage thereby incurring significant costs to do so, and to be exposed for any costs paid to procure energy to cover the time period when the generator was to take outage. This unilateral capacity call option by ERCOT has real, non-trivial costs for generators and for consumers. If the maintenance cannot be completed, or the same level of maintenance cannot be completed, then those generating assets are at greater risk of forced outage. The risk of forced outage historically had been a problem only for generators, but with the energy-only market having so efficiently reduced the amount of available capacity to lows not seen in any organized energy market since the California power crisis in 2000, this is now also a risk to load that is now much more likely to be subject to rotating outages than at any time in ERCOT's history." STEC said that, "Notably, after ERCOT's February 28 decision to reschedule outages, summer energy prices fell. For example, in the North Hub, there was a decrease of approximately $6/MWh from March 4 through March 7. Some market participants believe ERCOT's out-of-market action to be the direct cause of the decrease in summer energy prices. STEC cannot attest to the validity of that assertion; however, ERCOT's decision to reschedule outages and the subsequent decrease in summer energy prices are at the very least positively correlated. Nevertheless, this price decrease shows that ERCOT's willingness to take out-of-market actions-actions inconsistent with an energy-only market- will continue to depress forward prices." STEC said that, "STEC is concerned that ERCOT's decision to recall the Planned Outage of the San Miguel Unit will prevent SMEC from adequately completing the repairs and maintenance that are necessary for the unit to reliably perform this summer. SMEC will use all best efforts to complete as many of the originally planned repairs as possible during the truncated outage window and SMEC expects to be able to make significant progress on the San Miguel Unit during the outage. However, it is likely that some repairs will have to be delayed until a later outage can be scheduled, particularly in light of the resulting contractor scheduling crunch caused by ERCOT. Delaying any repairs of a baseload resource the size of the San Miguel Unit not only jeopardizes the integrity of the individual unit, but also jeopardizes the reliability of the entire ERCOT system when the reserve margin is at historic lows and stakeholders are focused on ensuring system reliability during tight summer conditions. By issuing cancellation instructions to baseload resources like San Miguel, ERCOT ignores its own mandate to consider the impact an outage cancellation would have on the ERCOT System." STEC said that the PUC should provide clarification regarding ERCOT's ability to exercise discretion to recall outages, including any limitations on ERCOT's discretion. STEC said that, "ERCOT should not have a free call option on capacity in the ERCOT Energy-Only market."